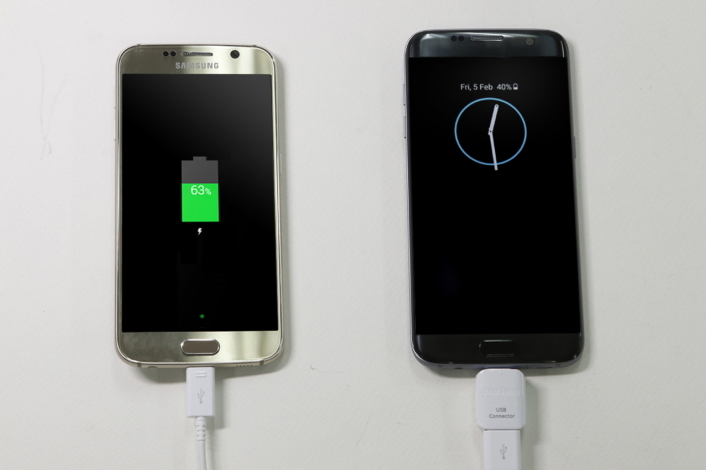 The On-The-Go Adapter allows you to charge your Galaxy S7 or S7 Edge using battery power of another phone. It’s ideal when your battery is low and you have no charger. With The On-Go-Adapter, you can also read and write content from USB flash drives. 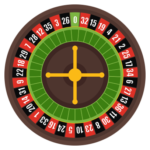 For example, you can get your favorite files and read them directly on your Galaxy S7 and S7 Edge as you would make with a PC. 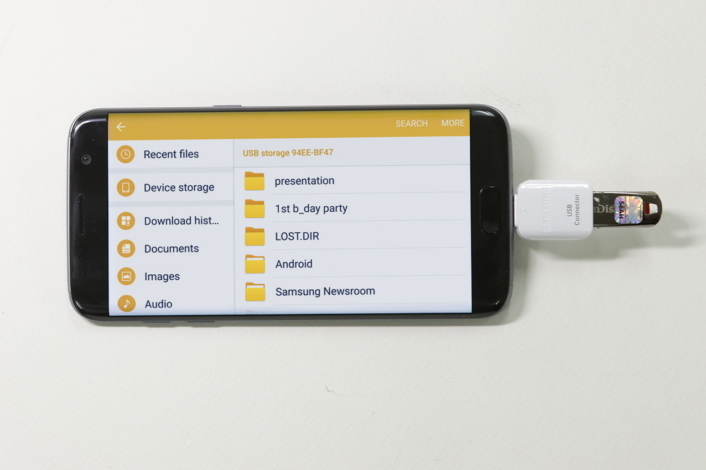 To make that, you have just to connect your On-The-Go Adapter to your S7 or S7 Edge and then connect your USB flash drive to the On-The-Go Adapter. When you buy a new device, you need to transfer your data from your old device to your new device. These data can be contacts, music files, files, videos or pictures. 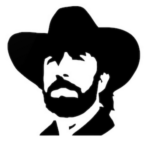 Traditionally, it demands to download data from old device to a computer then upload from your computer to your new device. 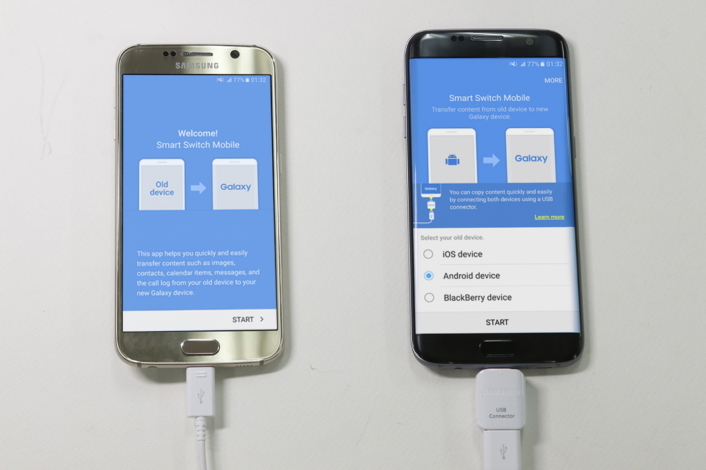 With your On-The-Go Adapter, you can use the Galaxy S7 and S7 Edge’s Smart Switch app to transfer data directly. 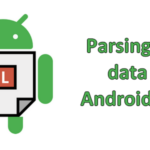 Smart Switch lets you to make mobile to mobile file transfers from iOS and Android to make easy data transfers to your new Galaxy devices. Write long texts with your device keyboard is nos always very productive. 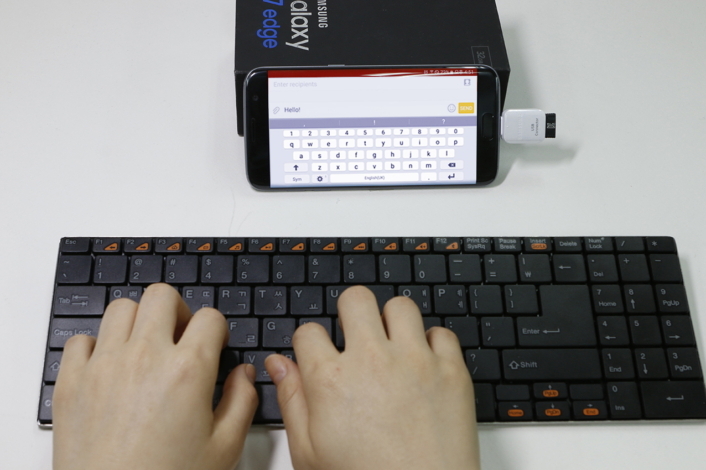 To enjoy more productivity, you can connect your smartphone with a keyboard thanks to The On-The-Go Adapter. Once your S7 or S7 Edge is connected with a Keyboard, you can enjoy PC-like typing experience. Note that it works for wired keyboard and wireless keyboard.